You’ve seen them – the photos of homes for sale and we think, “Who would sell their house looking like that?” It’s hard to imagine – especially in this market – anyone trying to sell their home without doing a top to bottom makeover; but unfortunately, it happens all the time. According to RESA, professionally staged homes sell 67% faster than homes that are not staged (181 days vs. 60 days). When you consider the costs that you will incur maintaining and paying for your home over 6 months, you cannot afford NOT to stage your home. There are lots of ways to update and refresh without breaking the bank. If you are selling your home this year, you will sell faster it if you follow my easy steps. Do you research. Ask your realtor for some active properties that are in better condition than yours. Be completely honest – you’re trying to sell your home, don’t stay too attached to the ivy border you stenciled in 1980. Buyers want current, updated, neutral homes. And listen to her listing price recommendations – remember the more your house sells for, the more money she makes so she will best position it to sell quickly. 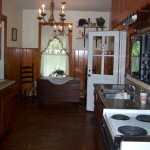 Determined which areas need the most work, usually kitchens and bathrooms, and set a budget. Kitchens and bathrooms have a high return on investment and can often be the key to a sale without dramatically lowering your sale price. If you have old cabinets, don’t go crazy with high end granite counter tops and stainless steel appliances. It will only draw attention to what needs to be done. 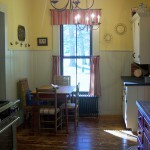 Instead, spend time painting the cabinets, replacing hardware, and updating the counters with new, inexpensive Formica. Clean everything (this is the most overlooked area). Don’t forget drawers and closets –buyers will look there. Do a top to bottom clean in every room. 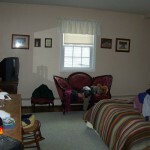 Clear out clutter or excess furnishings. Too much furniture will make a room look smaller and conversely, too little furniture will make it difficult for the buyer to imagine how they would use a room. Lighten it up. Add higher wattage bulbs (if possible)and add more lamps to dark rooms. 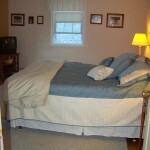 Most room are underlit, so you can’t go wrong adding more light to pretty much any room. Freshen up with paint, especially if your colors are dated or paint is really worn. Keep it simple by painting every room the same neutral color. And remember, neutral doesn’t have to mean beige. Liven up your space with pretty neutrals like sage, khaki, cream, and gold. Freshen up the outside. Remove dead plants, take down those cute little flags and wind chimes, and clear everything that doesn’t belong from porches and patios. When spring finally arrives you can put out pretty pots of flowers but be sure to keep them watered and pinched back. Even in this market, you can sell your home if you take the time to prepare before you put it on the market. Don’t know where to start or don’t have the time? Check out my Facebook Page for lots of decorating and staging tips and photos or Contact Me today to schedule your in-home consultation and get ready to sell your home! Such great advice! I was just looking at listings in the coastal area of Virginia. Some homes were all together with nice settings and neat clean areas. Then others, as you have said were in a state of clutter or worse. My reaction was they must not really want to sell this one and I moved on. Thanks for your insight!